In his letter for Lent, published on 27 February, Bishop Patrick Hoogmartens of Hasselt outlines the main ingredients for a fruitful Lent: prayer, charity and the sacraments (especially the sacrament of Confession (which is certainly not limited to general celebrations)). On 1 March it will be Ash Wednesday. That day’s liturgy reminds us that we – with our qualities and flaws – are all mortal people. We will be invited to reflect on our finiteness: “Remember, man, you are dust and to dust you will return”. The liturgy also provides another formula for the imposition of the ashes: “Repent and believe in the Gospel”. Lent is indeed a time of repentance and internalisation, and a special time of sharing and solidarity. Lent must become a time of strength. With this letter I want to invite and urge you to this. In the first place, Lent asks us to focus on prayer. For many people today, that is not easy. And yet, many are looking for the inner peace that can only be received through prayer, and so from God. Of course the liturgical assembly is also an important form of prayer: there, we pray with others out of the rich tradition of the Church. But for a Christian, personal prayer is also very important. That can be done by praying a simple prayer, or by reflecting on a few psalms, like Jesus did. Praying can also be done without words, in front of a candle or an icon, or by simply repeating, “Lord, have mercy”. A prayerful heart makes us – with the words of our theme for the year – not wanderers, but pilgrims. Lent also requires us to have more attention for our love of our neighbour. It can’t be that a Christian would only say, “Lord, Lord” and not concern himself with his neighbour, the sick or people with problems around him. Lent asks us to live more soberly and have an eye for people in need or poverty. The Lenten campaign Broederlijk Delen helps us to realise that concern on a worldwide scale. But at the same time that wider world is also very close. As Christians we – even more than others – should dare to contact the stranger in our neighbourhood. Wasn’t the great Moses of the burning bush a stranger himself once, looking for a new country out of Egypt? Originally, the entire people of God were a people on the run. Lent also invites us to greater loyalty to the sacraments in which we are reborn. For lent, I especially invite you to join in faith in the celebration of the Eucharist, that is with a heart for all the gestures, words and prayers which bring us together there. A faithful participation in a penitantial service is also part of the experience of Lent. At the World Youth Days – like last summer in Krakow – I noticed that this service especially touches young people. It is certainly useful to take part in a penitential service at the end of Lent, in a general confession somewhere in your federation or deanery. It opens for us the path to God’s mery. Without that – as Pope Francis taught us in the Year of Mercy – we can not live as Christians and as Church. Dear brothers and sisters, I gladly wish you a good Lent. He teaches us to first seek the Kingdom and His righteousness (Matt. 6:33). Everything else will be given to us. In their Christmas message, the archbishop and auxiliary bishops of Utrecht look back at the Holy Year of Mercy, urging us not to let the fruits of that Year go to waste. We should always try to look at others with Jesus’ eyes, as the logo if the Holy Year shows us. “At Christmas we celebrate that our God became visibly and tangibly among us in the Child of Bethlehem, our Lord Jesus Christ. Pope Francis has said about him, “Jesus Christ is the face of the Father’s mercy” (Misericordiae Vultus, 1). The Holy Father wrote these words when he announced the Holy Year of Mercy on 11 April 2015. This Holy Year began with the opening of the Holy Door in St. Peter’s Basilica in Rome, and subsequently with the opening of Holy Doors in all the world’s dioceses. In our Archdiocese of Utrecht, these were in Utrecht, Hengelo and Groenlo. The Holy Year is now ended, or perhaps we could say, whisked by. But we should be watchful that what the Holy Year of Mercy has brougth us, will not simply disappear. For this year has brought the Church – also in the Archdiocese of Utrecht – much that is good and encouraging. As bishops of the Archdiocese of Utrecht we are very grateful to the Pope for the past Holy Year of Mercy. Much has been received and shared in our parishes and establishments, in faith, hope and love. Much work has been done to make the Holy Year a reality in the liturgy, catechesis and charity. Both the spiritual and corporal works of mercy have been frequently highlighted and put into practice. People – young and old(er) – have received the sacrament of God’s mercy – the sacrament of Penance and Reconciliation, or Confession – and that is a source of great grace and joy. One has confessed for the first time in his or her life, the other sometimes after many years. That confession could have taken place in the parish, during the World Youth Days in Krakow or during a pilgrimage, such as the one to Rome. As bishops we have emphasised to our priests, deacons and pastoral workers the importance of a good preparation for the sacrament of Penance and Reconciliation for children, before they make their First Holy Communion. We are very grateful to our priests, deacons, religions, pastoral workers, coworkers, catechsists and all our volunteers for all the good and blessed work they have done for the success of the Holy Year of Mercy! A high point in this Holy Year was without a doubt the pilgrimage that we made with some 2,000 people from all dioceses of the Dutch Church province to Rome, the ´eternal city´. Among them were some 200 pilgrims from the Archdiocese of Utrecht. That pilgrimage has deepened and enriched our faith and being Church. Especially noteworthy was the Eucharist celebrated on the ‘Dutch day’ (15 November) in St. Peter´s, followed by the welcome of Pope Francis and his address to the Dutch faithful. The Pope was happy and impressed by such a large and enthusiastic group of pilgrims from the Netherlands. He was moved when a Catholic refugee from Syria presented him with a booklet detailing what has been done in and by the Dutch dioceses and parishes for the reception of refugees. As mentioned, the Holy Year is over. The Holy Doors are closed. But the door of God’s merciful love is not – that remains always open for us and all people! And from this love we Christians are and remain called to make God’s mercy tangible and visible, especially to those who are ignorant, helpless or poor. Our Lord Jesus keeps asking us to look, to see with His eyes. In the Eucharistic celebration on the Dutch day, Cardinal Eijk said, for that reason, that the logo of the Holy Year of Mercy, the logo that was especially designed in Rome for this Hole Year, should remain etched in our minds. After all, it is a striking logo that highlights so clearly that mercy is a key word for the Christian faith. This logo depicts Jesus carrying a man on his back. It is based on the parable told by Jesus in the fifteenth chapter of the Gospel according to Luke (15:1-10). This parable speaks of the shepherd with a hundred sheep of which one gets lost. The shepherd leaves the 99 in the wilderness to search for that one lost sheep. We could wonder: who would leave 99 sheep in the wilderness to look for that one lost sheep?! Isn’t that shepherd taking a lot of risks?! Shouldn’t he be leaving to sheep to its fate? The parable was told by Jesus in this way on purpose to show how far God will go to search for people who have strayed from His paths and save them. For that reason God became man in Christ and made Himself the sacrifice, through His suffering and the cross, that was needed to expiate our guilt and return us to God. In the first place the logo invites us to look at our neighbours with the eyes of our Lord Jesus, that is: with His merciful and forgiving love. We shouldn;t certainly be concerned about moral shortcomings, but then especially about our own. When it comes to others who cause us harm, let us then consider them with Jesus’ eyes. Try, as it were, to share one eye with Him. This is the message of the logo of the Holy Year of Mercy: as the Lord looks at us with loving and merciful eyes, so look at your neighbours and be prepared to forgive them when they have done you wrong, and offer them new chances when they show remorse. This is frequently the advice of a spiritual counsellor or confessor to someone who struggles with the people around him, especially because they find it difficult to forgive them their unpleasant traits and habits : “try to look at him or her with the eyes of Jesus”. This is helpful. When we commit ourselves conscously to this and pray to the Lord to let us look at our neighbours with His eyes, He will not remain silent and comes to us with His grace. There is a second layer to the logo, a second message. Jesus sharing one eye with that person in need shows that He looks in mercy at our need, our difficulties, our pain and our sorrow, with our eyes, as it were. He can do so with our eyes because He Himself became man and freely submitted Himself to the conditions of our lives, which – to put it mildly – are not always advantageous. He experienced this Himself too. Jesus makes our need, pain and sorrow His own and looks at it with our eyes. This means that Jesus makes our life His own and He can do so more than anyone. “Whatever you did for one of these least brothers of mine, you did for me” (Matt. 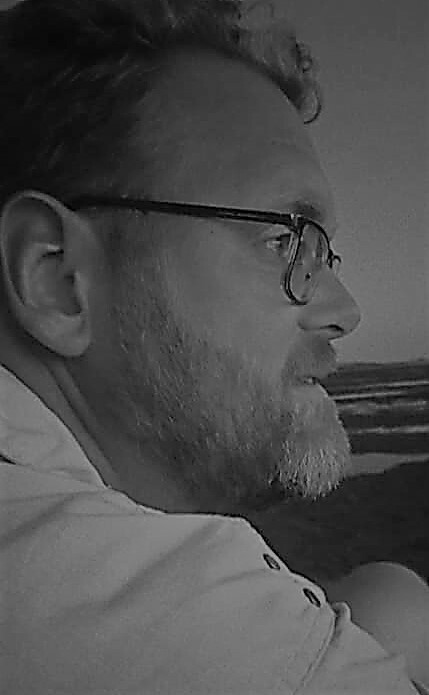 25:40). And there is more: in this context the logo also invites us to look at our neighbours in need with Jesus’ eyes of mercy, and the sense of compassion, and really make their lives our own. I happily wish you, your loved ones and all people of good will a blessed Christmas and God’s blessing for the new year 2017! A new year to look at each other and others, to see with the eyes of our Lord Jesus, of whom we celebrate at Christmas that He came among us through His incarnation. With His eyes he continues to look at us, for us with His endlessly merciful love. I have updated the translations pages (English and Dutch) by moving some from the ‘Latest translations added’ list in the left sidebar, and adding a few new ones. Among the latter are English translations of Archbishop Burger’s piece about the refugee crisis, Bishop Hurkmans’ letter regarding his retirement and, since yesterday, a Dutch translation of Pope Francis’ Message for World Youth Day 2016. With the appointment of Bishop Heiner Koch to Berlin, the German capital has an archbishop again after an almost eleven-month vacancy. He leaves the Diocese of Dresden-Meißen, a suffragan of Berlin, vacant after less than two-and-a-half years, making it on of two empty sees in Germany, the other being Limburg. Who is Archbishop-elect Heiner Koch? Like his predecessor in Berlin, Cardinal Woelki, he was born in the Archdiocese of Cologne, in Düsseldorf. He is less than a week away from his 61st birthday, has been a priest for 35 years (he was ordained on his 26th birthday in 1980) and a bishop for nine years. He is the third archbishop of Berlin, but the tenth ordinary since Berlin became a diocese in 1930. Six of his predecessors were made cardinals. The new archbishop studied Catholic theology, philosophy and pedagogy at the University of Bonn and is a Doctor of Theology. After his ordination, he was attached to parishes in Kaarst and in Cologne itself (at the cathedral since 1993). He was also school pastor at the Heinrich Heine University in his native Düsseldorf, and in 1989 he started working in the vicariate general of the Archdiocese of Cologne, which probably set him on track to become a bishop. Made a Chaplain of His Holiness in 1993 and Honorary Prelate in 1996, now-Msgr. 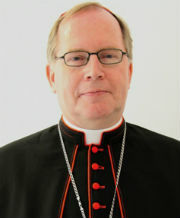 Koch was made the subsitute for the vicar general in 2002. In the same year he led the preparations for World Youth Day 2005, which took place in 2005. The next year, he was appointed as auxiliary bishop of Cologne, with the titular see of Ros Cré in Ireland. 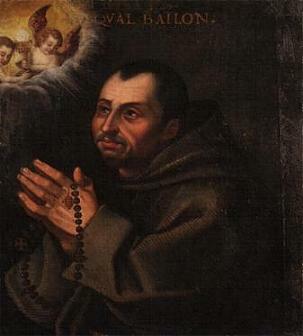 Bishop Koch was responsible for pastoral area South, as well as for the non-German speaking faithful of the archdiocese. In the German Bishops’ Conference, this extended to the pastoral care for Germans abroad. 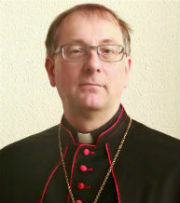 In 2013, in one of his last appointments as such, Pope Benedict XVI appointed Bishop Koch as bishop of Dresden-Meißen, at the opposite end of the country. A year later, the German bishops chose him to head the Commission for Marriage and Family, which made sure he was also chosen as one of the country’s three delegates to this year’s assembly of the Synod of Bishops. His focus, however, is more on the question of how the Church can be close to people in that situation: not so much doctrine, but pastoral care, as he explained later. This attitude comes to the fore more often, when Archbishop Koch says that difficult questions are not resolved via headlines, but via conversations and encounters with people. “The Church is convinced that a child needs a father and a mother. I also know that there are married couples which neglect children, and homosexual coupes who love them. But that does not change the fact that the family consisting of father, mother and children is a great wealth for all, not least in their gender differences. God created people as man and woman. Together they reflect the fullness of the divine life. There is not consensus in society, but that does not mean that we should abandon this position”. The future in Berlin. As archbishop in the German capital (with equal pastoral responsibility for the states of Berlin and Brandenburg, as well as eastern Mecklenburg-Vorpommern), Archbishop Koch will increasingly be at the heart of the action for both state and Church. In a reflection of recent political history after the reunification, when Germany’s political institutions moved from Bonn to Berlin, the German Bishops’ Conference has long been considering moving their offices to Berlin as well. The Papal Nuncio, Archbishop Nikola Eterovic, also resides in that city. As mentioned above, six of his predecessors (including the five immediate ones) were made cardinals, so we may see a second Cardinal Koch (in addition to Kurt Koch, the president of the Pontifical Council for Promoting Christian Unity) at some point. Archbishop Koch is young enough to wear the red with influence. But even in purple he will have his work cut out for him. His predecessor, Cardinal Rainer Maria Woelki, quickly established himself as a bishop in the mold of Pope Francis: close to the margins of immigrants and workers. Archbishop Koch will probably have little problems taking that attitude on as well. The Archdiocese of Berlin is twice the size of Dresden-Meißen, but has about the same number of Catholic faithful. It is in the process of merging parishes to better serve these faithful, which is a sensitive process to lead for any bishop.